Find your next bargain at a New Hampshire Auction. New Hampshire Auctions, NH Auctioneers, and New Hampshire Estate Sales Events are an entertaining way to spend a few hours. Any trip to the Granite State will be enhanced greatly by attending a NH live auction or otherwise seeking the services that auction houses offer. Auctions are fun, exciting, and can often result in an outstanding find. Contact the auction services below for more information. NH auctions include; collectibles, real estate, automobiles, antiques, commercial matter, estate sales, antique furniture, seized and surplus property, heavy equipment, vehicles and electronics. 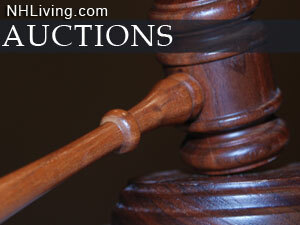 Ask us about NH Auctions or share your NH Auction reviews and comments. To feature your auction service, contact us. Specializing in sporting and military collectibles, especially firearms.